It’s Monday morning and people are arriving to start the first Mindsonar training in the UK. 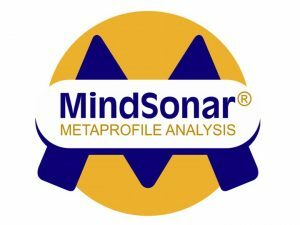 Mindsonar, the tool which builds on the work of many thought and linguistic leaders around thinking styles, has now come to the UK from the Netherlands, where it was developed by Jaap Hollander. It has a growing following in business, sports and personal development. Workforce Solutions Group has brought the tool to the UK – and what a tool it is! It’s great to see some old friends and meet some new people. We are a dedicated, enthusiastic group of professionals from diverse backgrounds; sales, coaching, project management and healthcare experts who are establishing Mindsonar as the psychological profile of choice in their specialist fields. Speaking with them, they want to grow the Mindsonar community and it is truly exciting to be part of this ground-breaking group. We start Day 1 with an introduction from Jennet, who is from the Netherlands and part of the group who have developed Mindsonar. Jennet apologises for the fluency of her English – which is better than some native speakers! We have amongst our number Kerensa, also from the Netherlands, who is so eager to become familiar with the tool that she cannot wait for the next training in the Netherlands, scheduled for April. A good summary of an exciting and stimulating day’s training. I am learning lots and looking forward to the next sessions.